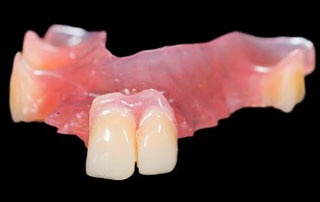 The Temporary Plate used for provisonal prosthesis during the waiting period for fixed ceramic bridges or dental implants. Made from acrylic resin. 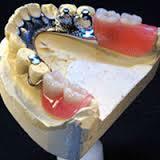 Conventional Vitallium Partial Dentures have metal clasp showing when smiling which looks not natural. Vitallium Partial Denture which have Telescope Crown functioned as the attachment create good retention and esthetics.